If somebody asked me to list the greatest (current) music festivals in the United States, I’d probably give them the following five in no particular order: Virgin Festival, SXSW, Lollapalooza, Sasquatch! Music Festival, and Coachella. Given that I will not be attending 4/5 of these events, pardon me while I gush about the one I will. 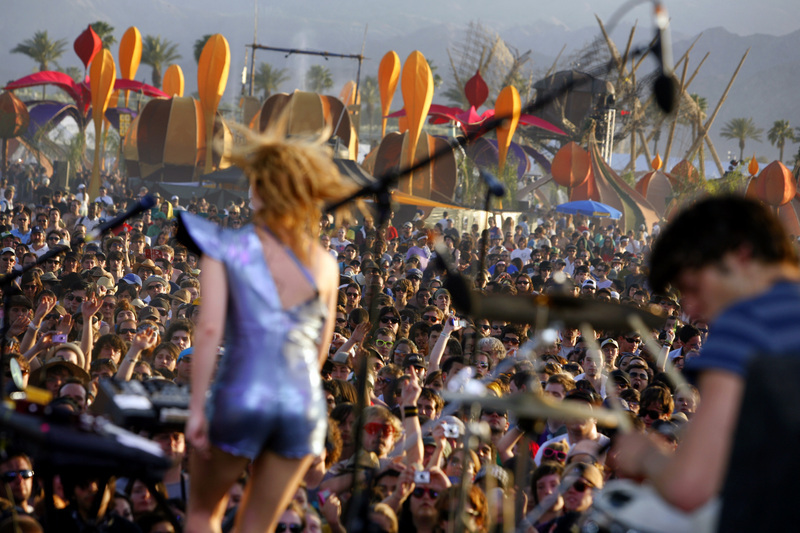 Welcome to Coachella 2010. A three day music fest located in sunny Indio California. From April 16-18, for the price of $269, you can rock your socks off, shake your groove thing, dance like a maniac, or sway awkwardly from side to side. The choice is yours! Currently in its 11th year, the show is bringing a solid mix of rock/indie/electronic/classic/contemporary/mellow/upbeat moods to the sunny April weekend. But what’s so special?